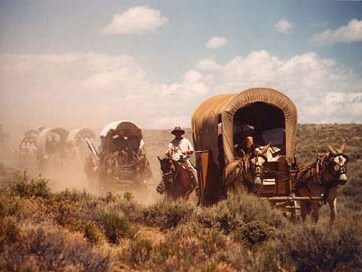 Between the years of 1848 and 1850, an estimated 75,000 people traveled to California in covered wagons in search of a better life. 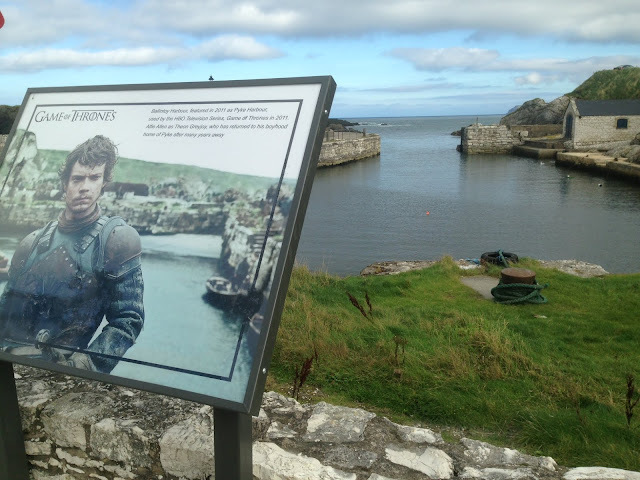 People decided to make the journey west for a variety of reasons. Many left to find new opportunities... chasing gold after it was discovered in California, while others heard that California had a healthier climate and wanted to leave diseases back east. 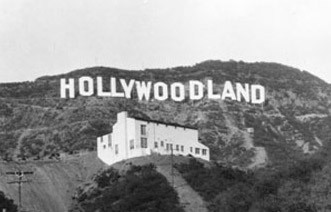 Still, others came for religious freedom, for an adventure or because of "manifest destiny" the belief that Americans should occupy the country coast to coast. 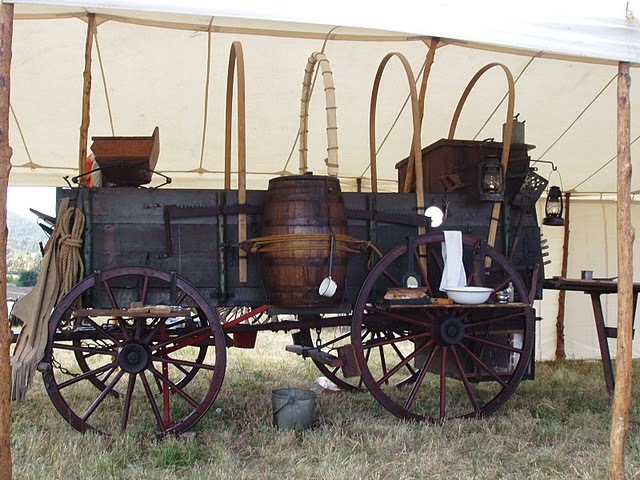 In fact, the first Los Angeles food trucks were inspired by the chuck wagons of the open range and appeared as horse-drawn wagons as early as the 1880s. 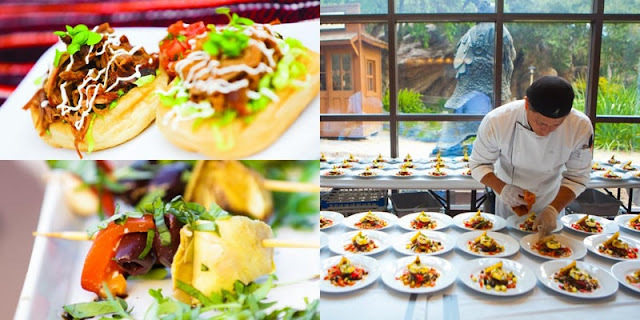 Operated mostly by immigrants, these multicultural dining experiences introduced the city to many of our beloved dishes. 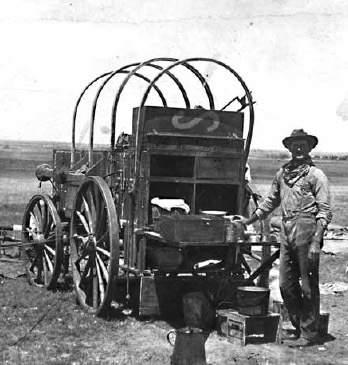 Before this, the first chuck wagon was created in 1866 when a Texas cattleman bolted a cupboard onto the back of an army wagon. 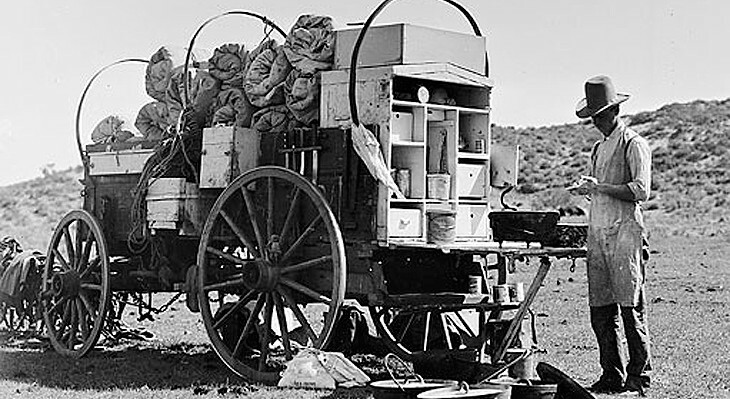 On the trail, these rolling kitchens fed the cowboys at the cattle company’s expense, about four cents per head. A good cook could transform cheap ingredients into something worth eating, and cowboy cooks gained their reputations based on their level of culinary skill. In honor of the Chuck Wagon, the Autry Museum is paying honor to them with an event they call The Urban Chuck Wagon: 100 Years of Food Truck Fare a new tasting event coming to The Autry on February 23! 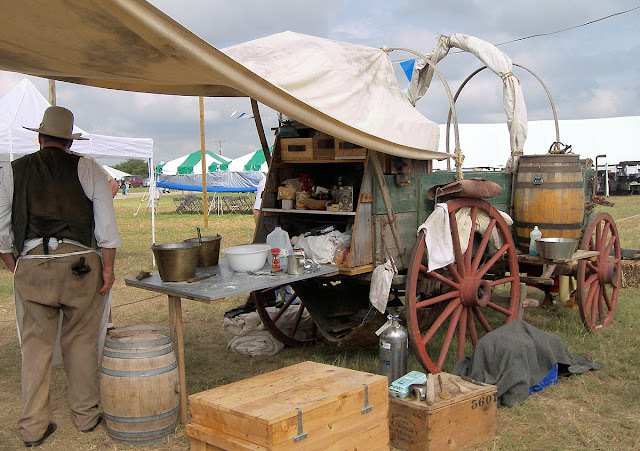 Whet your appetite as you enjoy cuisine inspired by the grand tradition of the chuck wagon! Chuck Wagons: The First Food Trucks is particularly suited to The Autry, a museum devoted to the history of the American West...and that is why we ❤️you!! !